Are Your Reports as Good as You Think?  - ONRAD, Inc.
25 Apr Are Your Reports as Good as You Think? Diagnostic Imaging | You think your reports are great, but the clinicians you give them to might disagree. Are your words clear and understandable? Are the interpretations better by a radiologist or a specialist? Does the radiologist notice things the referring physician would have missed? Those are three of the 46 questions researchers asked clinical specialists, general practitioners and radiologists in two separate (but similar) surveys published in the April print issue of Radiology this month. Fortunately, most clinicians felt that imaging reports were generally well written and an indispensible tool in their medical practice. The surveys, COVER (Clinicians’ Opinions, Views, and Expectations concerning the radiology Report) and ROVER (Radiologists’ Opinions, Views and Expectations Concerning the radiology Report), authors note are the largest surveys on radiology reports to date. They were voluntarily completed by 873 clinicians (a 21 percent response rate) in Belgium and the Netherlands in 2008 and 2009, using a Likert scale. The COVER survey was given to both general practitioners and specialists. Typically, general practitioners found the radiology reports more helpful than the specialists did. In one question, 87 percent of all clinicians (620 of 713) said the radiology report was an indispensible tool in their medical practice, with 83.3 percent (234 of 281) of general practitioners agreeing entirely, versus 41.4 percent of specialists (179 of 432). Image interpretation was another area where generalists and specialists differed. While only one general practitioner felt better able to interpret an imaging study than a radiologist, 23.5 percent of specialists (101 of 430) felt they could interpret a study in their own specialty better than a radiologist. Not surprisingly, only one radiologist out of 134 agreed with this statement. There’s some debate in the medical community about how much clinical information a referring physician should give a radiologist, to prevent interpretation bias. A previous Radiology study (http://www.diagnosticimaging.com/digital-x-ray/content/article/113619/1814909) showed that giving the radiologist more information did not affect the accuracy of the reading. Clinicians in the COVER survey felt the same way, with 85.3 percent (597 out of 700) of clinicians disagreeing with the statement that it was preferable for radiologists not to have too much clinical information. The majority of radiologists answering the ROVER survey wanted clinical information as well, saying that to write a better report, they want to know not only the patient’s medical condition (86.6 percent, 116 out of 134 agreeing) but the clinical question as well (98.5 percent agreeing). In terms of the writing of the report, 84.5 percent of referring physicians (592 of 701) wanted to get an itemized report (versus free text), while 65.7 percent (88 of 134) of radiologists also preferred this. And while almost all of the answering physicians, 92.4 percent of clinicians and 94.7 percent of radiologists, felt that learning how to write reports should be an integral part of training radiologists, the authors also noted that most U.S. teaching centers spend less than an hour a year with residents on this subject. They recommended radiologists take a short course annually, with theory, practical exercises and a group discussion of results.